Time to heat things up a little with a date for two in the kitchen. Why go out for dinner when you can have some fun, spend some quality time and whip up something delectable together? Here are a couple of recipes, courtesy of Oleiva Traditional Extra Virgin Olive Oil , that will deliver a fab, upscale dinner plus romance … and some tasty snacks for later. Enjoy! Preheat the oven to 200˚C (392˚F). Peel the butternut squash and cut it in half. Scoop out the seeds and fibres. Cut the flesh into 2cm (¾ in) chunks. Put the squash in a large shallow baking tray. Drizzle the Oleiva Traditional Extra Virgin Olive Oil over top and toss the chunks until coated, then season. Roast in the oven for 30 mins until the butternut squash is soft and browned along the edges. Meanwhile, melt a knob of butter in a large pan. Add the sage leaves and cook for a few seconds until they have deepened in colour. Stir in the garlic, then the shiitake mushrooms. Cook, shaking the pan occasionally, until the mushrooms are edged with gold. Cook the gnocchi according to the packet instructions, then drain well. 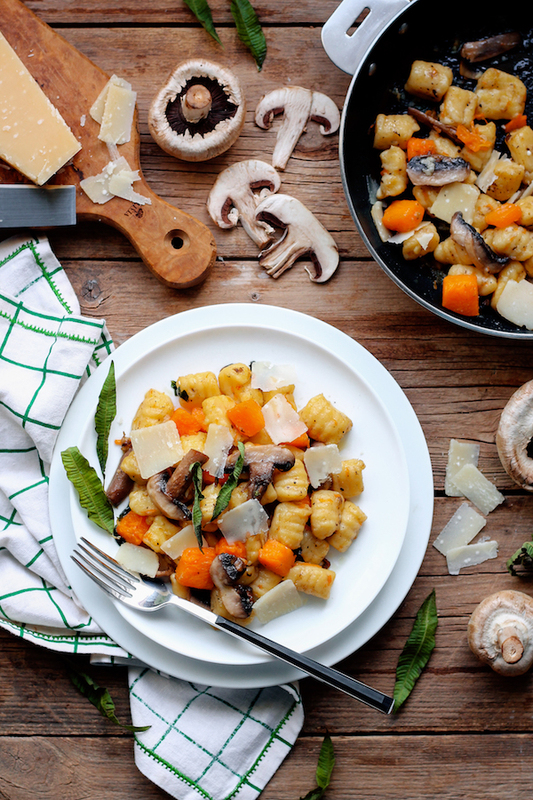 Finally toss in the drained gnocchi with the mushrooms and butternut squash. Serve with Parmesan. 2½ cups (300 g) additions: dried fruits, seeds, nuts, flax meal, bran cereal, puffed rice cereal, crushed pretzels, chocolate chips, etc. Preheat oven to 180˚C (350˚F). Depending on desired thickness, line a square (8×8 or 9×9) or rectangular (9×13) baking dish with parchment paper, then lightly grease the paper with Oleiva Traditional Extra Virgin Olive Oil. Thicker bars are a little more decadent, if you’re planning on using this as a dessert. Process ⅓ cup (80 ml) of the oats in a blender or food processor until finely ground. If necessary, chop up dried fruit and nuts. 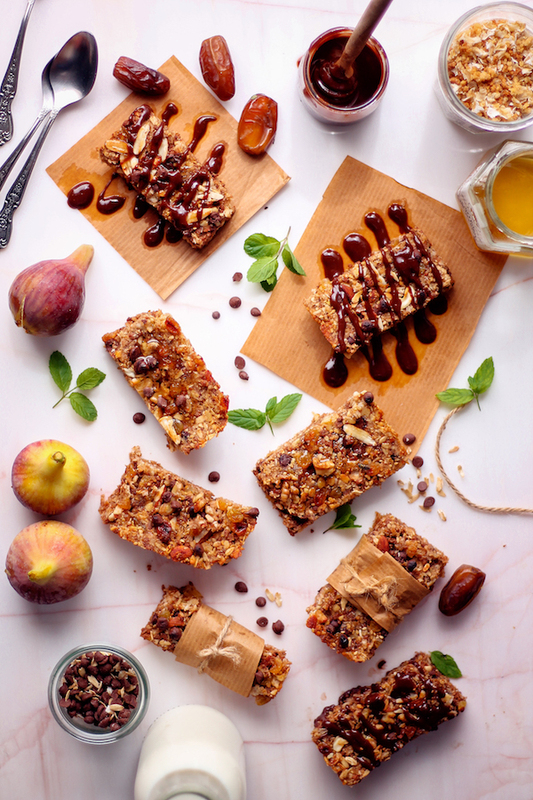 Raisin-size pieces are fine, but dried apricots, or apples, let’s say – should probably be chopped. Stir together all dry ingredients (oats, ground oats, sugar, salt, cinnamon, fruits/nuts/seeds). Whisk together wet ingredients – oil, honey, peanut butter, and water. Mix together the wet and dry ingredients, then spread in the pan. Press firmly into the corners and edges so the top is even. Bake for around 30 minutes, until the top starts to brown. Thicker bars will likely take longer, so you’ll need to watch them, depending on how much batter you’ve spread in what size pan. The edges will become deep golden and they may feel underdone in the center, but that’s okay. They’ll firm quite nicely as they cool. Let cool in the pan on a cooling rack for at least 20 minutes, then take them out of the pan using the parchment. Let cool completely before cutting. Enter your email address below to receive weekly tips, articles and exclusive contests in your inbox. 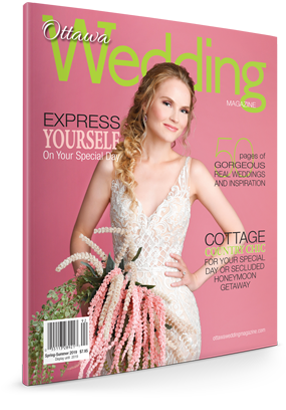 Ottawa Wedding Magazine is the must-have guide for the city’s brides to be, it provides all the information and options you need to make your dream of a wedding day come true. Join us on Facebook or follow us on Twitter for more! Copyright © 2019. Ottawa Wedding Magazine and Coyle Media Group.